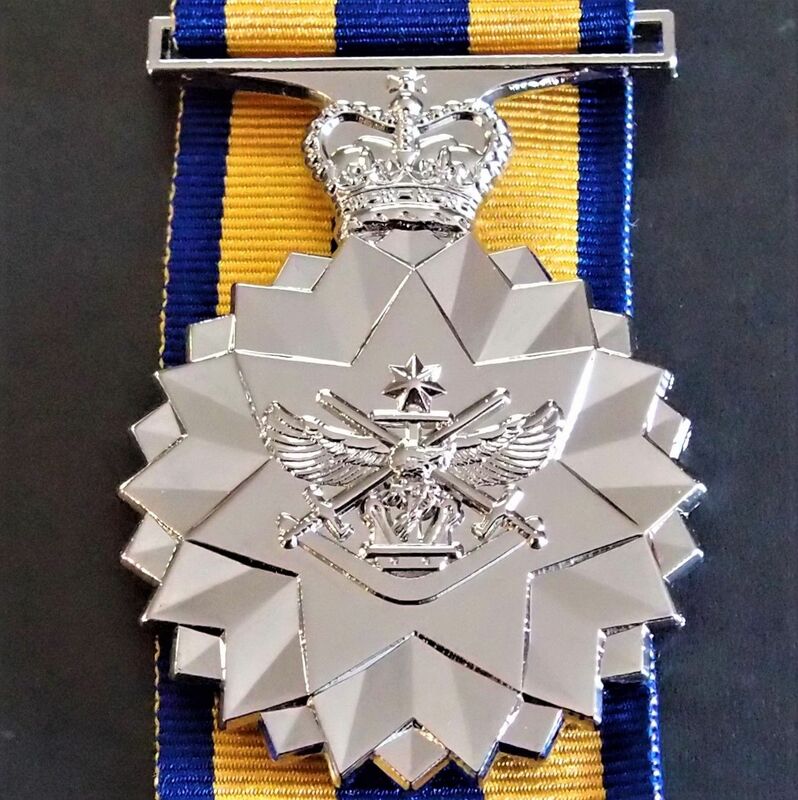 Offered is a replica Australian Defence Force Service Medal with ribbon. This is a well made die cast replica of an original issue medal. Originally awarded for completing 15 years of efficient remunerated service between 14th February 1975 & 20th April 1999 in the Australian Defence Force. Medal measures 36mm wide and comes with the correct Toye & Kenning U.K. made 15cm long ribbon. Perfect for displaying or adding to your replica medal bar. 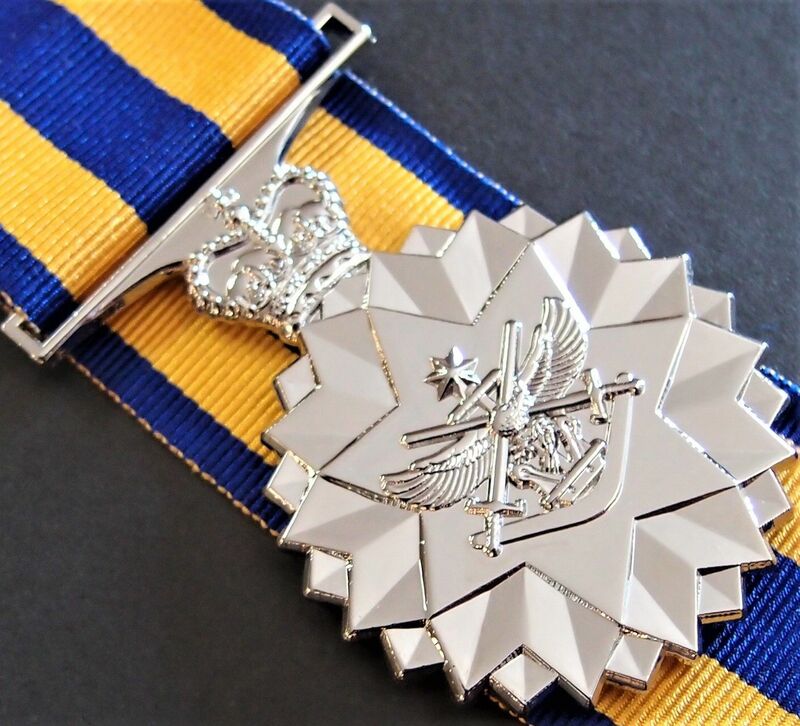 To qualify for a Defence Force Service Medal, a member is required to complete 15 years of efficient remunerated service prior to 20 April 1999 and must have been serving on or after 14 February 1975. 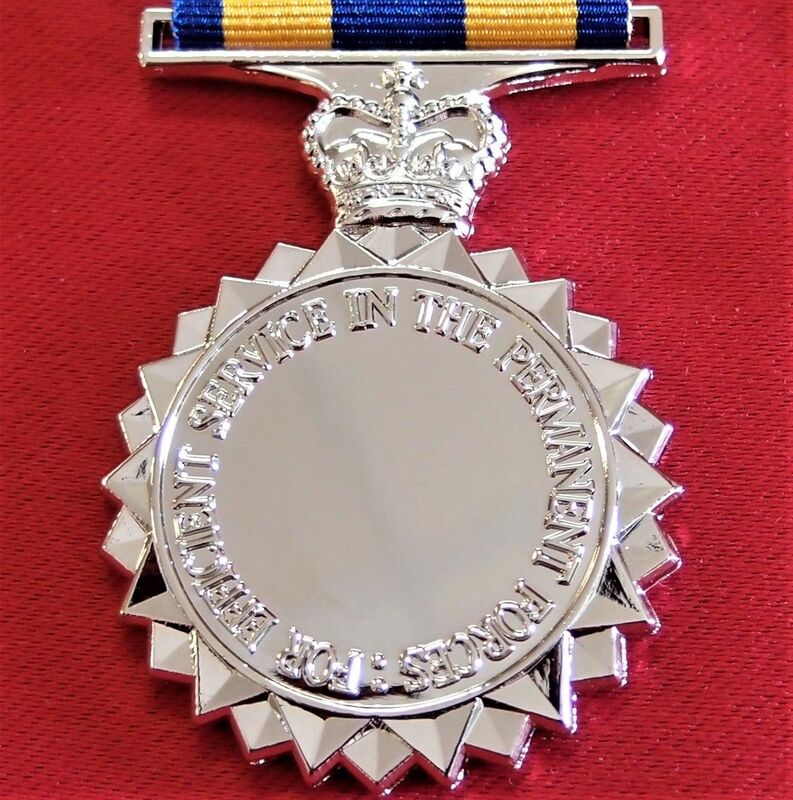 A maximum of three years service in the Reserve Forces may be used as qualifying service for this award. Clasps are awarded for each further periods of 5 years efficient regular service. 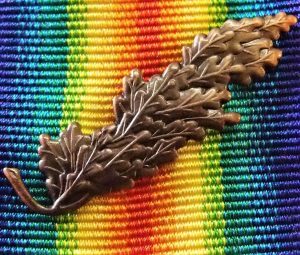 Reserve service and Continuous Full Time service in the Reserve does not qualify towards clasps for this medal. 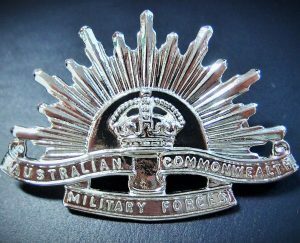 From 20 April 1999 the Defence Force Service Medal was replaced by the Defence Long Service Medal. Qualifying service for clasps can be accrued after 19 April 1999. The medal is a cupro-nickel circular chamfered medal. The obverse has the Joint Service Emblem. The reverse is inscribed ‘FOR EFFICIENT SERVICE IN THE PERMANENT FORCES’ around the circumference. The ribbon has three equal stripes of gold and azure-blue edged with azure-blue. The colours were the national colours of Australia at the time of introduction. The clasp is a cupro-nickel bar with the Royal Cypher flanked by sprigs of wattle in the centre. 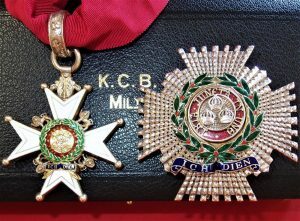 When the ribbon is worn alone a clasp is indicated by the addition of a cupro-nickel round rosette, or a silver miniature Federation Star.